Set in the heart of Malawi, the Lilongwe Wildlife Centre is currently the country’s only wildlife sanctuary for orphaned and injured wild animals. Deforestation and the illegal wildlife trade has put the country’s animal life under huge pressure, and this is why the projects mission to “Protect Malawi’s wildlife by helping wild animals in need, combatting wildlife crime and empowering the guardians of the wild” is becoming all the more important with each passing year. Home to around 200 rescued wild animals including monkeys, lions and zebras, the aim of this project is to release as many of these animals as possible back into the wild after they have been rehabilitated. Volunteers play a big role in assisting the process, and at Lilongwe there are two types of volunteering programme on offer. The first is for wildlife conservation enthusiasts, and here you will have the chance to assist the animal care team in a number of different activities at the centre including caring for the orphaned animals and contributing to local community initiatives. The second type of volunteering on offer is specifically for veterinary students who have completed at least their first year of veterinary school. If you are volunteering as a veterinary student, you will work alongside the on-site vet in all aspects of veterinary care including incoming exams, minor trauma, health checks and routine diagnostics. As well as learning from experts in wildlife veterinary science, you will also take part in other aspects of the centre including orphan care and rehabilitation. Since its inception in 2008, the Lilongwe Wildlife Centre has won a number of awards for its work and it even achieved PAW accreditation from the Born Free Foundation back in 2012. None of this however would be possible without the help of volunteers as they provide the man power needed to keep this ever growing wildlife centre running. As the only establishment like this in the whole of Malawi, it is crucial that the project continues to help the countries wildlife, and as a volunteer you can play a big role in this! 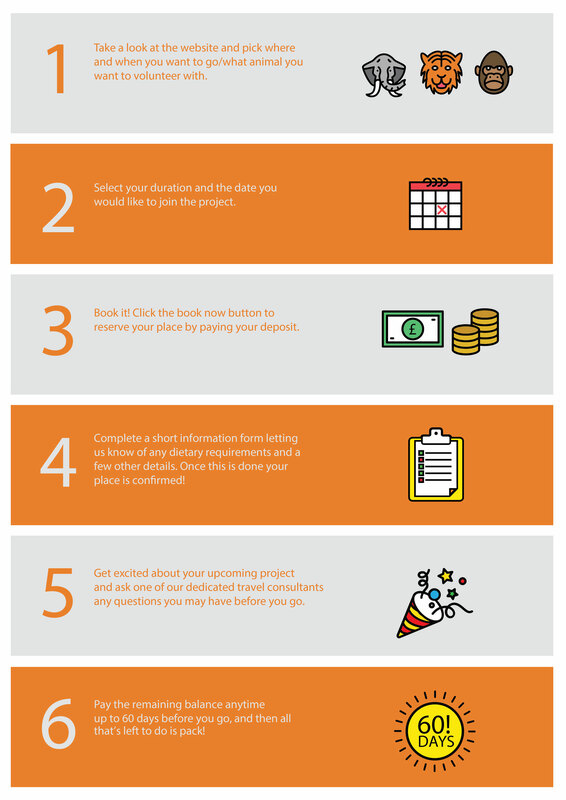 There are many different initiatives involved in this project, and as a volunteer you can contribute to them all if you wish! Volunteers in Malawi need to be flexible, full of enthusiasm and hardworking. Below is an outline of all of the activities which you may be involved with, including any specific activities for those joining as a veterinary student. Work alongside local animal carers by cleaning, feeding, hand-rearing adorable baby orphans and providing enrichment to those that desperately need it. Please note that we take animal welfare very seriously, and therefore, unless you are hand-rearing an orphaned animal or working with the vet there is a strict no-animal-contact policy. As a veterinary student, you will have the fantastic opportunity to work alongside the on-site veterinarian, assisting with all aspects of veterinary care: including minor trauma, routine diagnostics, vaccinations and conducting full health checks on all new arrivals. This is an excellent way of gaining first-hand experience in the field and expanding your knowledge base. Join our dedicated animal care manager to rehabilitate rescued animals and settle them into new groups. These animals need to be fed and cared for, as well as monitored to collect data which is essential to ensure their safe release. Some volunteers at the Lilongwe Wildlife Centre may have the opportunity to help with a release; however, this is dependent on whether any are scheduled to take place when you are at the centre. Helping with construction and the maintenance of the Lilongwe Wildlife Centre is vital for the project to exist as a sustainable refuge for vulnerable wildlife. Therefore, this may be something you are involved in when on the project and can include anything from enclosure repair, physical building work and even painting, so make sure you're prepared to get stuck in! This is an important aspect of the project and involves assisting with guided tours for locals to help educate them on the importance of wildlife conservation. You will also work alongside the community outreach manager to visit local communities, helping with existing outreach projects such as the ‘Learning Through Wildlife’ adult-literacy programme, and Malambe Juice Co-operative. For those interested in conservation management, there are several ecological surveys, mammal censuses and an important afforestation project which always require volunteer support for wider wildlife conservation in Malawi. This offers a whole new side of the project that you can immerse in, helping to collect vital information that provides the team with an accurate indication of the health of the surrounding environment at Lilongwe. This itinerary is set as a two week block with volunteers able to choose their own schedules according to preference but within reason. If you choose to volunteer here for a longer duration, the number of project days would increase. You will arrive into Africa's 'friendliest nation' via the Lilongwe International Airport, where you will then be met by a project representative or local transport service. You will then be transferred to the project site, which is just a 25-minute drive away. Once you have settled in, you will be taken into town where you can buy anything you may need before enjoying a tour of the centre, meeting your fellow volunteers and some of the sanctuary's residents! These are the days where you will be hard at work, helping with the various project activities. This project is extremely flexible so you will be able to spend your time working on the activities you would most like to participate in. However, please remember that this is an active wildlife centre so you may have to help if an urgent task arises! Working hours are between 8am and 6pm, 6 days a week and you will get one day off per week to relax. If you are volunteering for 3 or more weeks then pre-organised extra activities can be arranged by the in-country team. This will be your final day and after some fond farewells to staff, volunteers and animals alike, you will return to Lilongwe airport for your return flight or continue with any independent travel plans. While you may feel like you don't want your trip to end, you will leave the centre with a lifetime of invaluable memories that will last forever, knowing you have left a lasting impact on this amazing project that is so vital to wildlife conservation. Lilongwe Wildlife Centre was originally set up in 2007 thanks to a trust of passionate local patrons, the Department of National Parks and Wildlife, and members of the Born Free Foundation. The government granted the trust the concession to 90 hectares of wilderness right in the heart of the city; effectively giving it similar protection to that of a national park. A local campaign against illegal pet trafficking virtually eradicated the illegal roadside-wildlife trade in Lilongwe and as word spread of the centre´s work, animals came flooding in from across the country and beyond! In addition to smaller releases, the first primate release programme was set up in Kasungu in 2009, returning animals back into the wild where they belong. In 2010, the centre's vet clinic and orphan care clinic were completed and since then various other release programmes have been established. In 2014/5, Lilongwe rescued 77 animals and released 57, followed by the release of 22 Vervet Monkeys in 2016 who welcomed other wild residents into their troop and have since reproduced! 2017 proved to be another extremely successful year for the team at Lilongwe. Members of the team assisted in the arrests of 37 animal traffickers, seizing of 161 kg of ivory and putting 21 traffickers in jail. There were also 26 new animal rescues to add to the 185 animals already in rehabilitation at the centre. In terms of conservation education, 9,763 school children have benefited, 81 new teachers have been trained, and they also gained 25 adult literacy students who came to the centre hoping to improve their skills! Now that the wildlife centre is well established, the second phase of its development is focusing on improving the centre for people. Lilongwe Wildlife Centre is already a key education and recreation facility, giving people the opportunity to get closer to nature and see the value of wildlife conservation for themselves. Already, the project welcomes 25,000 children through the gates every year and subsidises poorer schools and orphanages to ensure that the centre is accessible to everyone so the messages are spread as far as possible. The centre's outreach programme also aims to address some of the everyday pressures that the communities face, and wherever possible, the project encourages sustainable livelihoods that support both the local people and the conservation of the environment. Join us in celebrating International Women's Day, as we list some of our top female conservation heroes. These ladies have paved the way for major breakthroughs in the realm of animal welfare and conservation. Which women have inspired you the most? As a volunteer staying at the project you can look forward to waking up to the sound of a lion brilliantly roaring and the sight of monkeys playfully interacting from the bedroom window. Volunteers stay together at the project’s brand new Volunteer House within the heart of the wildlife centre, surrounded by amazing wildlife. The house has mixed dorm-style accommodation with electricity, a kitchen, lounge area, bathroom, hot showers, and also a delightful garden area for relaxing in the evenings and during your free time. All meals are included and prepared by the project’s local cook, apart from Sundays when the cook has a day off and volunteers will share kitchen duties amongst themselves. Whilst on the project you will be able to enjoy various international dishes along with some delicious local Malawian favourites. The team can cater for vegetarian or vegan diets, but please let us know in advance so the team at the project site have plenty of time to prepare for your arrival. If you would prefer to dine elsewhere, there are many delicious restaurants just a short drive away and the wildlife centre’s restaurant serves fantastic lunches. Whichever option is your preference, you can certainly look forward to indulging in the local Malawian cuisine! The construction work undertaken on this project requires a moderate level of fitness. The other tasks, however, are not particularly physically strenuous, but a fair level of fitness is advised. No specific skills or experience are required, just a commitment to this dedicated project and its commendable ethos. 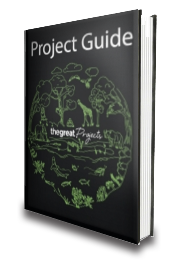 However, if you do have specific skills or experience that you feel will greatly benefit one of the project’s programmes, this is always warmly welcomed and every contribution has a lasting impact on the endangered species that need it most! The vaccinations required depend on the medical history of each volunteer. We recommend that you consult your GP regarding your own immunisation needs to ensure you are fully protected and prepared to volunteer in Malawi. In conjunction with this, we would also recommend that you check Fit for Travel’s website for extra information. A chest x-ray or other test (to check for TB) before arrival is also required. This is ESSENTIAL and you will need to take proof of your chest X-ray (or other test) with you in order to take part in the project. You will need to arrive into Lilongwe International Airport on the start date of your project where you will be met by a representative who will transfer you to the wildlife centre (a 25-minute drive, and normally available between 9am and 5 pm). Kenya Airways, Ethiopia Airways and South African Airways all serve routes to Lilongwe. If you arrive early and the dates of your trip exceed the project length then we recommend you stay at Mumbuya Camp or the Kiboko Hotel. The currency in Malawi is the Malawian Kwacha. 1 MWK is equal to roughly 0.00097 GBP, 0.0014 USD and 0.0011 EUR. I was lucky enough to help out in the Veterinary Clinic, which was amazing as I am studying to be a Vet Nurse. Lilongwe Wildlife Centre is an amazing rescue centre for wild animals including monkeys, antelope, crocodiles and two beautiful lions, and they clearly have the animals' best interests in mind. It's a sanctuary, not a zoo, so the enclosures are large and wild giving the animals plenty of space to roam and play. They have an extensive rehabilitation programme for the animals, and release any animal possible - a troop of baboons have just been released to a nearby national park! I visited Lilongwe Wildlife Centre in June 2014 for just two weeks and it was the best experience in my life. I found out about the centre through the Worldwide Veterinary Service and as soon as I arrived the staff were extremely friendly and were helpful with any task. I was kept very busy when volunteering from day to day considering I am a non vet and I was lucky enough to work with all the animals at the centre one way or another! There is a non-contact policy with the animals as the centre aims to rehabilitate the majority of the animals into the wild when possible. I found this reassuring as many other organisations are not particularly open about what happens to their animals after they are released (if ever) so I knew my hard work was going to a great cause. We had two cooked meals a day (lunch & dinner) both of which were cooked by the on site chef Josef who is possessed with talent in the kitchen and never failed to impress me! When it came to the evening the night life of Lilongwe was a very enjoyable experience and I would recommend getting out as much as possible and experiencing everything. My one regret from the entire trip is not staying for longer! Malawi, or the 'warm heart of Africa', is rich in cultural and historical heritage, with no shortage of incredible landscapes, fascinating wildlife, vibrant music and welcoming people. There is a distinct rhythm that runs through the veins of the country, and simply must be experienced to be understood. The area of Lilongwe is one of Malawi's greatest boasts. With the country's lively and buzzing capital city, surrounded by rolling expanses of lush, verdant land, much of which is home to iconic and incredible wildlife, it is a remarkable place to visit. It is here that the Lilongwe Wildlife Sanctuary finds its home. Recently acknowledged as one of the world's top 10 happiest places, Lilongwe has much to offer visitors of all persuasions. The atmosphere of the city is typically buzzing and bustling, with sprawling areas of commerce around every corner. Full to bursting with malls, cafes, restaurants, bars and leafy parks, the city is continually thrust forwards by the enterprising and welcoming attitudes of its people.